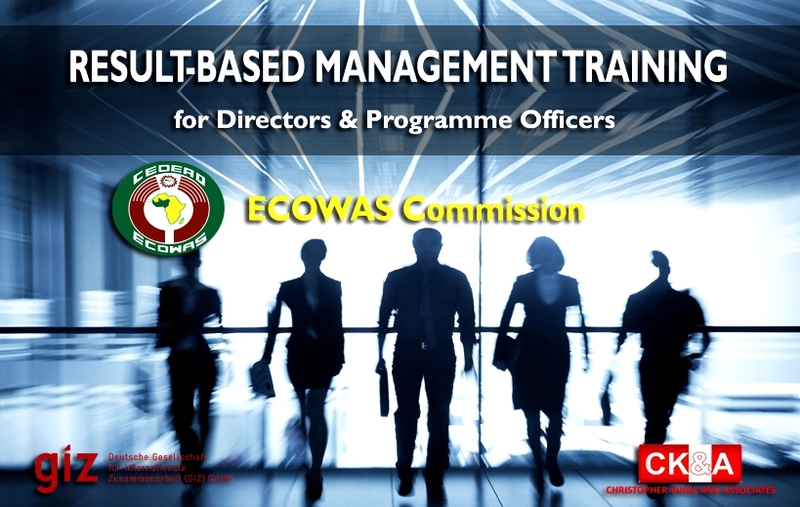 Result Based Management training for Directors and programme officers, ECOWAS Commission. 4. Facilitation of trainings in Results Based management, Results Based Planning, Results Based Budgeting, Results based Monitoring and Evaluation. 9. Preparation of reports and presentation of recommendations to the ECOWAS management. About Project: The project entailed the development of training modules in Results Based Management, Results Based Planning, Results Based Budgeting and Results Based Monitoring and Evaluation as well as facilitating the training for directors and programme officers, ECOWAS Commission. Job Description: Planning and coordination, development of module, coaching and facilitation.